Jeeps are meant to be challenged off-road. 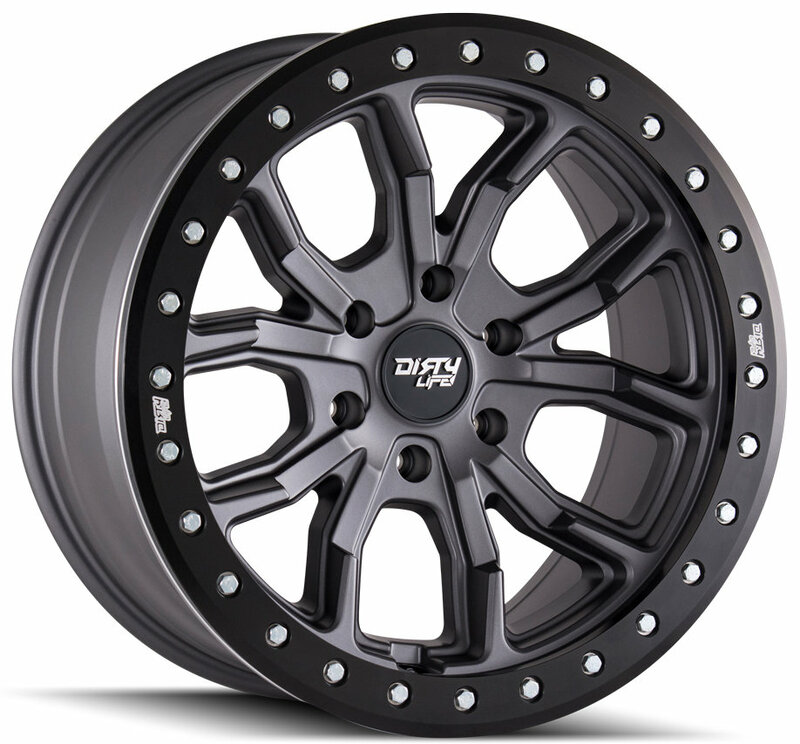 Whether you like to rock crawl, mud, trail ride, or sand race, the Dirty Life Race Wheels DT-1 9303 Simulated Beadlock Wheel in Matte Gunmetal Gray with Matte Black Ring is the wheel for you. This heavy-duty aluminum alloy wheel features an aggressive ten spoke design and a decorative beadlock ring. Dirty Life’s Matte finish is both corrosion and scratch resistant, so your wheels will continue to look fresh for years to come. Contemporary Style: The DT-1 9309 Beadlock Wheel features a sculpted ten spoke design, with a Matte Gunmetal Gray finish. The Matte Black Beadlock ring provides a great accent to the rest of the wheel. Built Tough: Dirty Life engineered this wheel to hold up to off-road abuse. This heavy-duty design will continue to serve your Jeep for years to come.